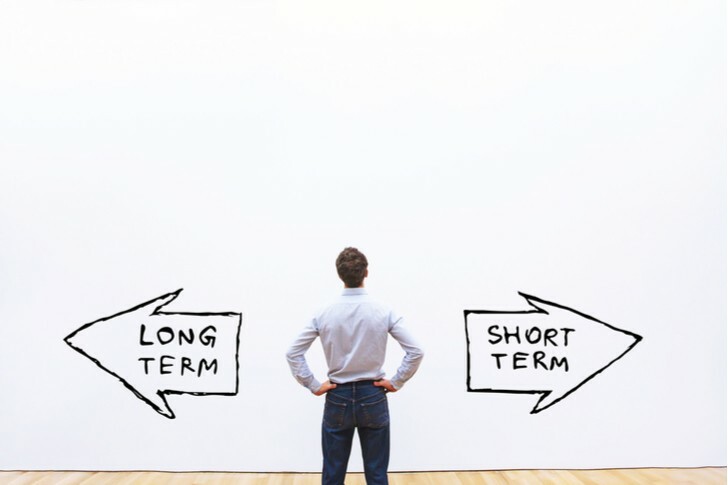 A number of recent studies show that companies who focus on the big picture and long-term success tend to better stocks to buy than those that focus exclusively on the here and now. Which stocks are you interested in owning? S&P Dow Jones Indices’ October 2017 report, Long-Termism: Index Impossible?, looked at the S&P Long-Term Value Creation (LTVC) Global Index, an index created to hold mid- and large-size companies that embody long-termism, which is the idea of making decisions based on a sustainable future-oriented perspective. S&P took a company’s return on equity, balance sheet accruals ratio and financial leverage, averaged the score of the three metrics to quantify the financial quality of a particular company. Those that scored higher got included in the index. Here are seven long-term stocks to buy, some of which are held by the index. If it’s got anything to do with water there’s a good chance that Xylem Inc (NYSE:XYL) is involved in some capacity. Recently named the 2018 Water Technology Company of the Year by Global Water Intelligence, a provider of water industry information, it’s participating in what is arguably the most important industry in the world — without water, we die a quick death. There’s money to be made by doing good in the world. Xylem expects 2018 full-year revenue of at least $5.1 billion with adjusted earnings per share of at least $2.82 a share. With water shortages happening around the world, it’s incumbent on companies like Xylem to think bigger in order to help conserve clean drinking water. If you care about the environment, XYL is a stock to consider. It is only appropriate that the company that created the S&P LTVC Global Index is one of the top ten holdings. Last October, I named S&P Global Inc (NYSE:SPGI) one of the best non-bank financial stocks to buy. Not only do I like it because it operates a business that’s growing but also because it’s a Dividend Aristocrat, those stocks that have increased their annual dividend payment for at least 25 consecutive years. SPGI announced its second-quarter earnings July 26 beating on both the top- and bottom-line. Free cash flow positive, SPGI has done a good job diversifying its business. Up 15% year to date through Oct. 5, SPGI hasn’t had a losing year since 2008. Right there in the first sentence of its Q1 2018 press release are the words “long-term sustainable and organic growth.” Companies like Abbott Laboratories (NYSE:ABT) that are focused on the long-term don’t care much about short-term gyrations in revenues and earnings. As a result, it’s able to produce results superior to many of its industry peers. Organic revenues continue to grow with particularly strong performances from its medical devices and established pharmaceutical segments. Companies thinking big picture are all about delivering new and better products to its customers. In the first quarter, it launched Confirm Rx, the world’s first insertable cardiac monitor. Abbott reported that its FreeStyle Libre glucose monitoring system now has 650,000 users around the world, an excellent adoption rate for a product that only was launched in the U.S. in 2018 and Europe in 2014. Yielding 1.6% and expected to generate adjusted earnings per share of $2.89 in fiscal 2018, ABT stock is currently trading at a reasonable valuation. It’s time to buy. After turning down the $143 billion buyout offer from Kraft Heinz Co (NASDAQ:KHC) in 2017 as woefully inadequate, Unilever NV (ADR) (NYSE:UN) has been focused on simplifying its business including moving its headquarters to Amsterdam and eliminating its separate class of shares traded on the London Stock Exchange. The vote to do so happens in August. If the recent vote by shareholders on executive compensation is any indication — 36% of shareholders voted against the plan to boost compensation to CEO Paul Polman — the move to Amsterdam might not be a sure thing. Unilever’s got a strong group of brands that it continues to narrow down to a manageable number which should make it even more attractive to investors in the future. At the end of the day, despite the protests of U.K. investors, the move makes sense in the long term. You know a company is pursuing a significant acquisition when there is a heading at the top of its investor relations home page entitled “merger update.” Praxair, Inc. (NYSE:PX), a leading provider of specialty gases, began its merger dance with Linde AG almost a year ago to the day. Valued at $78 billion, the “merger of equals” as they’re calling it, would have combined annual revenue of $29 billion with a market cap in excess of $70 billion. Together, the new Praxair will become the second-largest provider of industrial gases with operations on every continent except Antarctica. Praxair expects the merger to be completed in the second half of 2018. I’m not usually a fan of big M&A deals because the synergies and cost savings advertised never seem to materialize. In the case of the Praxair/Linde tie-up, I’m inclined to believe the estimate of $1.2 billion in cost savings found over the next three years. It’s a boring business but one in which economies of scale matter. If there’s a company that thinks more long-term than Netflix, Inc. (NASDAQ:NFLX), I can’t think of it. Just imagine you’re Reed Hastings in 2006. You’ve got a DVD rental business that you operate through the mail, but it’s cumbersome, not to mention expensive. You try to come up with a business that will completely disrupt the traditional television and movie industry. A simple idea, but hellishly difficult to execute properly, which in hindsight we know it’s done flawlessly. Back in November 2016, I recommended NFLX stock despite its lofty valuation because I felt it was becoming the world’s first global TV network with a growing international subscriber base worthy of a nosebleed valuation. It’s up 230% in the nearly two years since. I’m not saying this to toot my own horn; I’m saying it because if you think Netflix is overvalued today, I’m here to tell you there’s a good chance I’ll be repeating the 207% line after another 18 months. Of all the companies on this list, Netflix is the biggest long-termer. It’s not even close. I’ve followed Intuitive Surgical, Inc. (NASDAQ:ISRG) for a long time primarily because I’m fascinated by its robotic surgical systems despite the fact I’m not particularly enamored by medical-related stocks. Back in 2013, I included ISRG as a bonus pick as part of an article I wrote about several stocks to buy and sell. The stock was tanking due to it losing analyst support on fears Obamacare would reduce hospital spending for frivolous products such as expensive surgical systems. I wasn’t buying any of that thinking. In 2014, as the analysts had suggested, revenues fell 6% to $2.1 billion. In the three years since they’ve grown by 47%, which has put a fire under ISRG stock, up 41% annually over the same period. Intuitive Surgical couldn’t have known either of these points would come into play when it first started selling the da Vinci Surgical Systems but, in my opinion, it is a byproduct of long-term thinking. Article printed from InvestorPlace Media, https://investorplace.com/2018/10/the-7-best-long-term-stocks-for-patient-investors/.